To say that I love my furry babies would be a huge understatement. These amazing animals are my entire world (plus my husband). I love to share photos and stories with friends, family and essentially anyone who will listen. It only stands to reason that I would want to show off my precious pets by placing their photos on numerous products. From t-shirts to playing cards and custom plush, I love to immortalize their adorableness. That is when I discovered BringerPet. 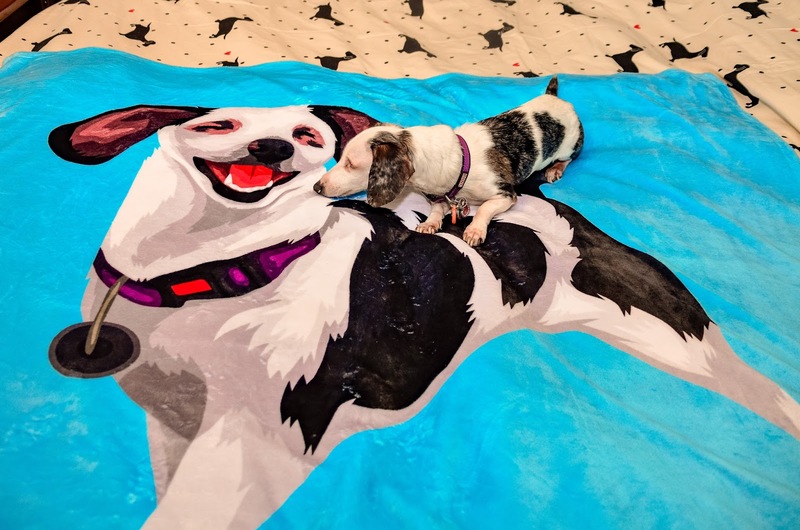 This up and coming business hosts a group of super talented artists who create gorgeous customized products that feature your pet as a hand-made cartoon. How does it work? First, head to their website at: www.bringerpet.com. Then simply select the desired product, upload your favorite pet photo and then prepare to be amazed! 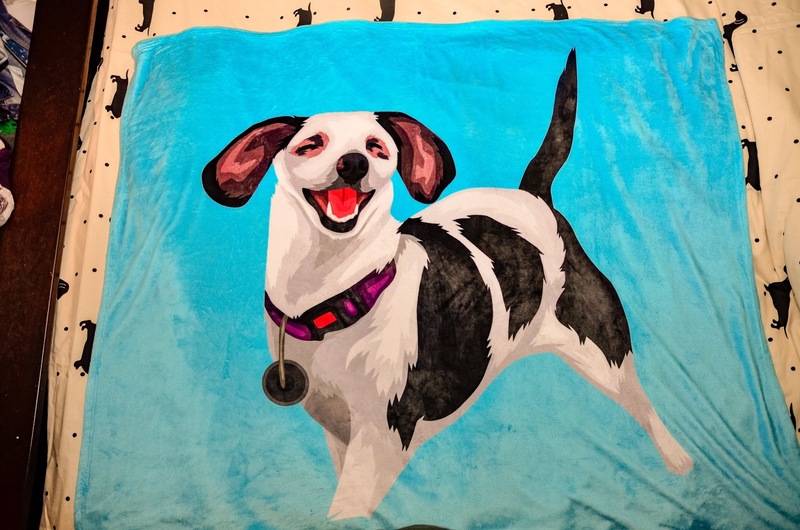 I selected the 50 x 60 Ultra Soft Super Plush Fleece Blanket. I was completely blown away! Hope looks beyond adorable as a cartoon. I loved that I had the opportunity to choose the background color. Her image really pops against the light blue background. The quality of the blanket is unbelievable. I can honestly say that this is the softest blanket that I have ever owned. The description is true to its word. The material is ultra-soft and super plush. 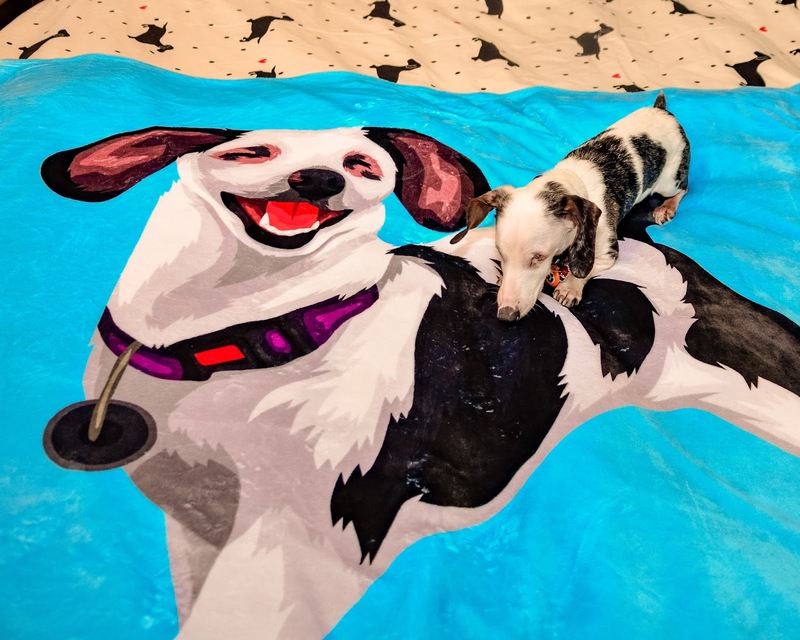 Being the proud pet parent to five rescue dogs, the extra-large size is a must. My whole pack can snuggle with me under its incredible softness. Hope also took an instant liking to the blanket. After a few sniffs, she immediately began to burrow and promptly fell asleep. Hope checks out her new blanket. "Yep, it looks just like me!" I would highly recommend BringerPet to animal lovers of all ages. They even have a special section on their website offering products specifically for children. Their products will make fabulously unique gifts for the pet parent in your life.